Based out of Huntsville, Alabama, singer and songwriter Eric Fullerton is a true artistic visionary of today’s times. Fullerton has the unique ability to create cinematic visuals through music. During his spare time, he sings and writes folk and popular music songs about video games and other aspects of modern society. 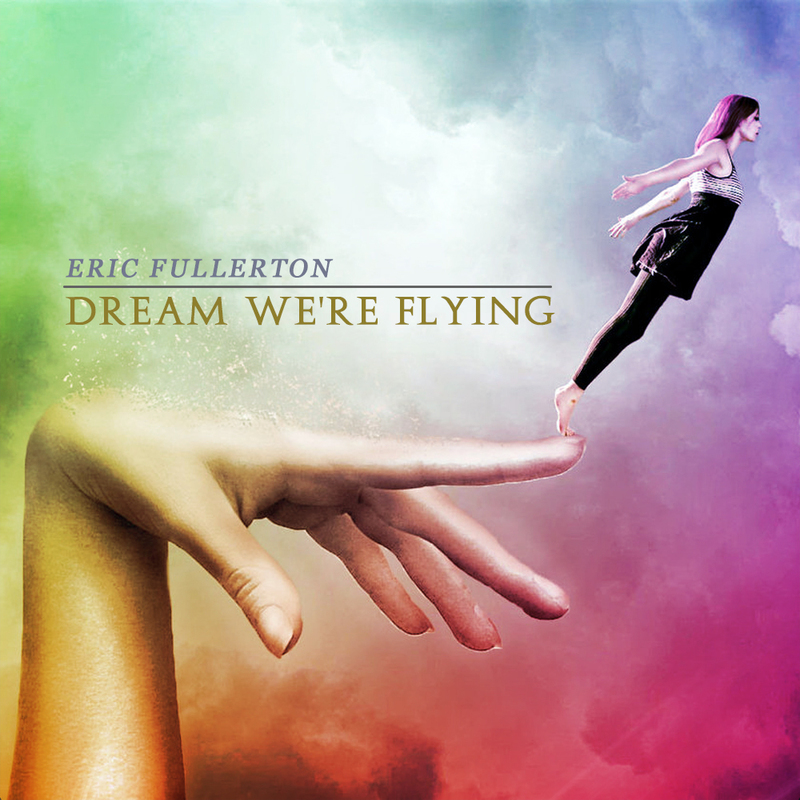 On January 25th, 2019, Fullerton will be releasing his new album entitled Dream We’re Flying. Comprised of ten soul-capturing tracks and an array of quest performances that have chosen to be anonymous, Dream We’re Flying is an absolutely fabulous concept album. Fullerton has been working on this masterpiece for nearly five years, as his life went through a succession of changes. This subtle intense journey can be felt throughout the entirety of the album. Dream We’re Flying represents the rebirth of joy through made possible by the release of pain. This is music that is best experienced in order to be fully understood. 1-Already Miss You– Dream We’re Flying opens up with this lovely bright track that will surely take listeners on an ascending sonic path. The rhythm is simple but very enchanting and catchy. It’s easy to fall in love with the spectacular female vocal performance, which leads the track’s orchestration. 2-Lucid Memory – Opening with a very exotic sound, Lucid Memory immediately captures our attention with its hazy overtones and extravagant drum programming. The track speaks through an arrangement of voice elements and instrumentation that is quite intriguing, but yummy. 3-In Love– Another bright charmer with a beautiful message about the joys of love. The guest vocalist provides a soulful flare over the song’s popular music landscape that is brilliantly executed, certainly one of the gems on this album. 4-Citizen of Time– A perfect example of what makes this album come to life and its excellent keyboarding and synth overtones. Somewhat of a social commentary about life in today’s world, Citizen of Time plays with our moods and view of our place in human society through the language of sounds it has so wonderfully weaved together. 5- Feel the Sun in My Eyes– This track has an intelligent structure that illustrates the unlimited potential of electronic music; a very moving song that has a great vocal performance to tie everything together. 6-Somniac Sanctum– Another compelling offering with a strong emotional sense of otherworldliness that s truly invigorating. Some great keyboard riffs and drum programming add up to a stupendous build up and release. 7-Falling Free – Opening up with some beautiful piano chords, this engaging chorale of timelessness has an intoxicating rhythm that keeps its audience on the rewind button. 8- Take Me Home – This beat-heavy groove will surely put you in “head nod” mode. I love the atmospheric overtones of voice and hypnotic sonic delicacies. 9-Transcendence – A very memorable track with an electrifying bassline. Instead of a lead vocalist, Fullerton is able to use voice and other etheric patterns of rhythm to showcase this awesome melody. 10-Open Up – Open Up raises a bit of nostalgia for vocalist buffs and devotees of electronica. It is indeed an organically-attractive gem. 11-Mystic Eye – This is one composition that pierces through the heart and puts us on the cliff of contemplation. Mystic Eye simulates a way to look at the world differently, and that is through music. The larger than life synth sounds make us feel like a molecule in a universe of dreams. 12-Honestly – Fullerton paints a sentimental collage of emotions and its time to talk honestly. The invigorating flare of this song is like a mirror of the heart unto itself. 13- Minecraft Universe (galactic mix) –Fullerton touches our minds with a cerebral sense of freedom and letting go of what is by absorbing the sounds in the space of time as being one with who we are and what’s around us. Beautiful! 14-One Final Time – We are pushed forward into a reality that no one wants to admit. We exist in a time-space continuum. It’s simple, but complex looking at the distance from where we are today. Fullerton brings us the advice and soundtrack of where to begin again as we approach the conclusion of a monumental album. When the shift in the music occurs, then we know it is our time to rise up to the top. The bonus vocals at the end serve as the icing on the cake! Dream We’re Flying lives up to its title and not only exemplifies the musical genius of Eric Fullerton, but also lead us to a place where we are all connected in dreams. Fullerton’s latest offering takes the stage for its innovative efforts in both electronica and popular music. Bravo.